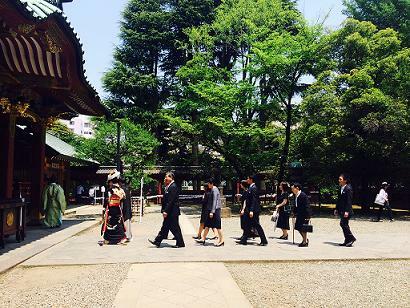 We assisted a client couple with organizing and planning a wedding ceremony at Nezu shrine in Bunkyo-ku Ward in Tokyo. In the morning, they got dressed at their own home. 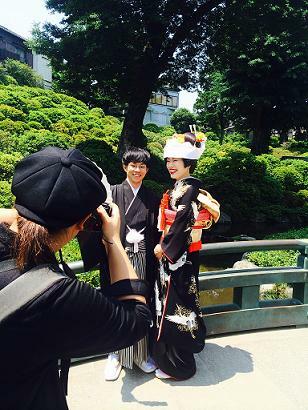 The bride wore a “katsura (wig)” with “tsuno-kakushi”and dressed in “Hiki-furisode”. She was so beautiful and we all were enchanted by her! 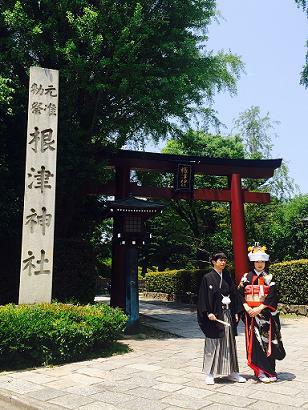 After arriving the shrine, we did the photography. 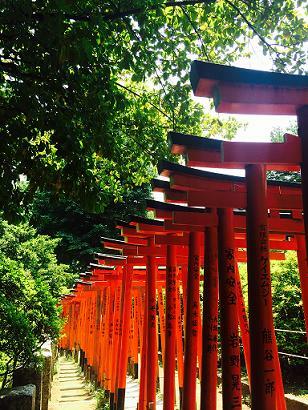 Nezu shrine was surrounded by rich greenery. The sunlight coming through the leaves was beautiful and a nice breeze was blowing occasionally. We really appreciate that we were given this wonderful opportunity to assist their wedding. 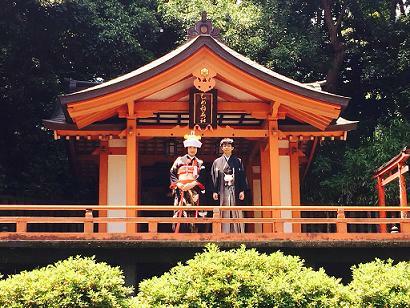 We wish the couple and their families a life-long happiness! !